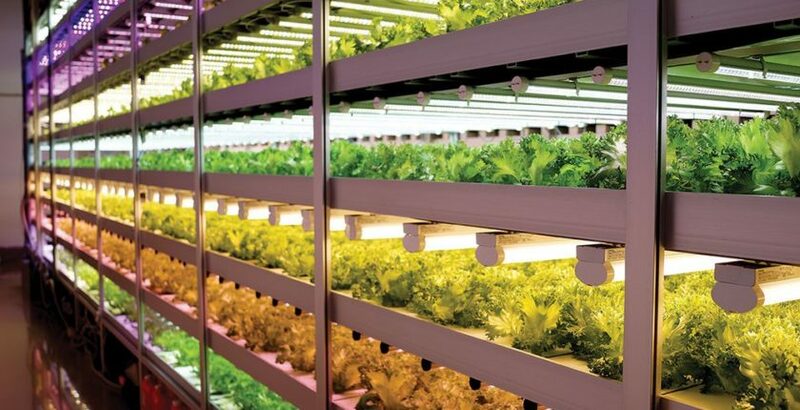 In response to increasing global demands from indoor farmers, researchers and future entrepreneurs in the exciting emerging field of plant factory with artificial lighting (PFAL), also known as vertical farm, this coming October, Japan Plant Factory Association (JPFA) together with Chiba University will host an intensive five-day introductory training course in English on PFAL. Since 2010, JPFA and Chiba University have been organizing various in-depth and practical sessions, including introductory to advanced courses. This five-day introductory session in English, held October 1st -5th, covers what you would need to know before or after starting PFAL business or research. The sessions will be interactive academic and practical classes, covering topics such as structure and function of PFAL, environmental control, lighting, plant physiology, nutrient solutions, seedlings, recent new technology, and business case studies of commercial large-scale PFALs. In addition to lectures by academic professionals and PFAL representatives, optional excursions to some commercial PFALs on the last day of the course will be organized. -To offer foundation for theory and experience-based practice, with a view to foster academic and industrial development toward next generation PFAL. -To facilitate development and dissemination of technically and economically sustainable PFAL, through providing the firsthand technical and conceptual classes by broad-ranging professionals in practice from both academia and PFAL industry. Motivated current/potential indoor farmers who plan to start or just started PFAL business or research. They will gain understandings of elementary theory and practice of PFAL, basic knowledge of cultivation and operational management, and keys for business success, etc. On the first day (10.1.2018), the reception and classes are scheduled to start in the morning. On the last day (10.5.2018), the optional excursion will be held in the greater Tokyo area and is scheduled to finish at approximately 15:00. Kashiwanoha campus is located less than 1 hour from Tokyo by train. There are several accommodations nearby. We will provide information after you apply. Includes materials for lectures and the transportation fee on the excursion day. Lunch is not provided, however there are many options in walking distance including a shopping mall food court and grocery store. Seats will be filled in the order that applications are received. After applying, you will receive the invoice within 7 to 10 business days. After confirming your payment, your seat will be reserved and we will provide your confirmation booking number. If your payment can not be made within 5 business days after receiving the invoice, your reservation may be cancelled automatically. Deadline for registration: The end of August or when capacity is filled. If participants cancel the training course on or before August 20th 2018, we will return the fee except JPY 40,000 (a cancellation fee). If the cancellation occurs after August 21th 2018, the fee shall be due in full. In most cases, in lieu of cancelling you may transfer your registration to another person without penalty. manage around 20 R&D projects, monthly workshops, and training courses, etc. at Chiba University campus in Kashiwanoha, a smart city in Japan.